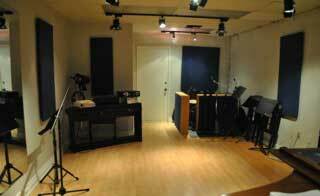 The studio at Christensen Music is the perfect setting for warm and intimate recording sessions. Working with our sound engineer, Christensen Music utilizes Logic Pro 9, Rhodes microphones, a full DW drum kit, a Steinway M grand piano, and Fender, Gretsch, and Ovation guitars. 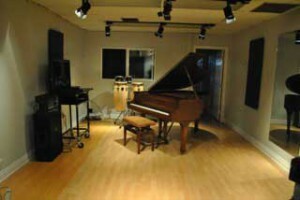 The 250 square foot studio space recording and rehearsal studio, equipped with a Steinway grand piano and a Behringer P.A. 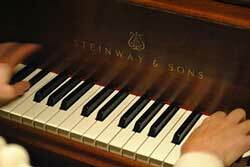 system, is available for rent on an hourly, half-day, daily, or weekly basis. Recording Rate: $75 per hour with a four-hour minimum. Rehearsal Rate: $25 per hour with a two-hour minimum. 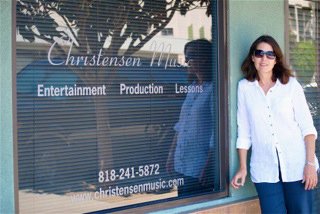 The Christensen Music Studio team will record your live event and deliver an unedited CD at the end of the event. 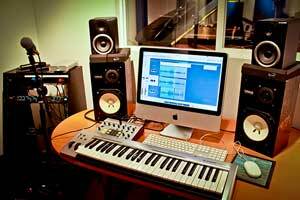 Or contract for professional editing and mixing to produce an outstanding production CD. Christensen Music will contract with both photographers and videographers, or work with professionals of your choice. Tell us what you’re interested in.